Pre>Fare is a digital bus ticket that's good for a round-tip on any MCTS Freeway Flyer to Summerfest. Buy your Pre>Fare Summerfest Flyer ticket online. 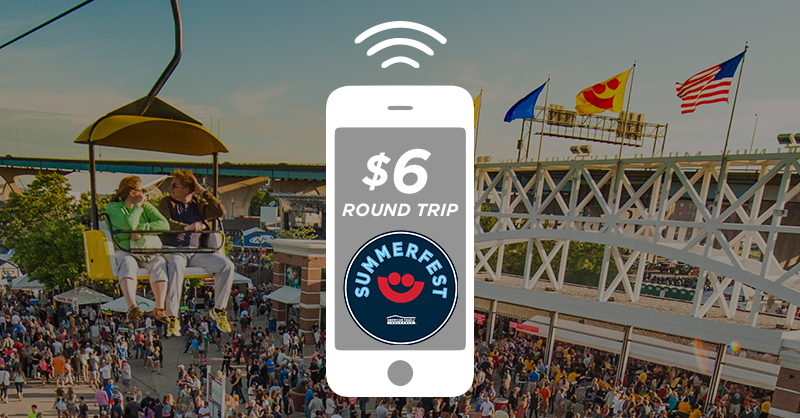 Get on board the bus at any participating Park & Ride Lot and then scan your phone when you arrive at Summerfest. You’ll save a dollar and time. MCTS Pre>Fare tickets are non-refundable and are only good for use on Freeway Flyer rides to Summerfest in 2019. Each MCTS Pre>Fare ticket is good for a roundtrip ride for one rider. Click here for more information about MCTS Freeway Flyer service to Summerfest. Pre>Fare is powered by Tixora, a Milwaukee based e-ticket company.